Spring is in the air and suddenly there's a surge in bright, yellow pieces. Yup, the vibrant shade is saturating my Instagram feed—and I'm joining right in. This ruffly mini dress from Goodnight Macaroon is perfect for the warmer days ahead. I paired it with these comfy low-heeled white booties and a denim jacket for a classic day or night look. Sometimes, easy throw-on outfits are really the best. A few weeks ago, I had the opportunity to see the legendary, Sarah Brightman, perform at the Kodiak Theater. I’ve loved her classic songs for years, and so it was amazing to finally see her live. Between her voice and the sparkling Swarovski collection that she wore throughout the performance, it was truly a stunning evening. And now through 4/13, take 20% off Sarah’s Signature Swarovski Collection. Shop here! So what does a girl wear to a fancy night out at the Kodiak Theater? An $89 ensemble that passes for $890. From the shoes to the earrings, this entire look was only $89! Sometimes a sucker for higher price tags, these pieces prove that I don’t have to overspend to feel and look my best. Oh and this dress from Chicwish is made out of a material that’s so comfy, it almost feels like pj’s! While the cutouts keep it feeling dressed up, it’s really just an easy throw-on-and-go number. I wear lots (and lots!) of dresses, but this one might just be the most flattering one that I own at the moment. Perfect for all things fancy, I can’t wait to find a reason to wear this outfit again. The sun’s out, the weather’s heating up, all signs point to one thing: wedding season. And while in years past, I’ve had one or two to attend, this year, I have a lot more! From beach weddings to vineyard celebrations to grand escapes in Tuscany, my wedding season itinerary is fully packed. And while I’ve never been much of a planner, I’m starting to get my reception looks lined up because let’s be honest, the best styles get scooped up the fastest. This dress by Morning Lavender is a gorgeous option for a spring or summer celebration. 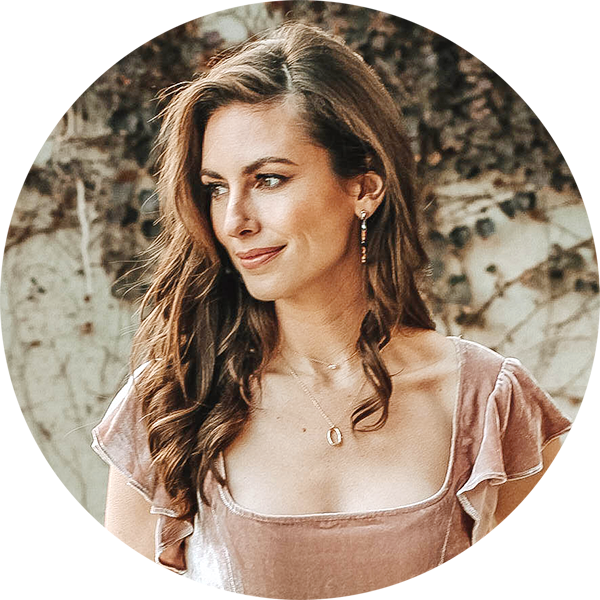 Not only does it work well as a guest outfit for a variety of wedding venues, but it is also perfect for a bridal shower. I mean, doesn’t it look like it was just made for a bridal brunch or tea? I adore the delicate lace detailing and flattering tiered silhouette. When it comes to shoes, these strappy Something Navy pumps add a bit of extra feminine flair—and if you can stand being in high heels all evening, they’re truly perfect. The best part of this ensemble? It’s very affordable. It’ll give your wallet a much-needed wedding season break. Amen!